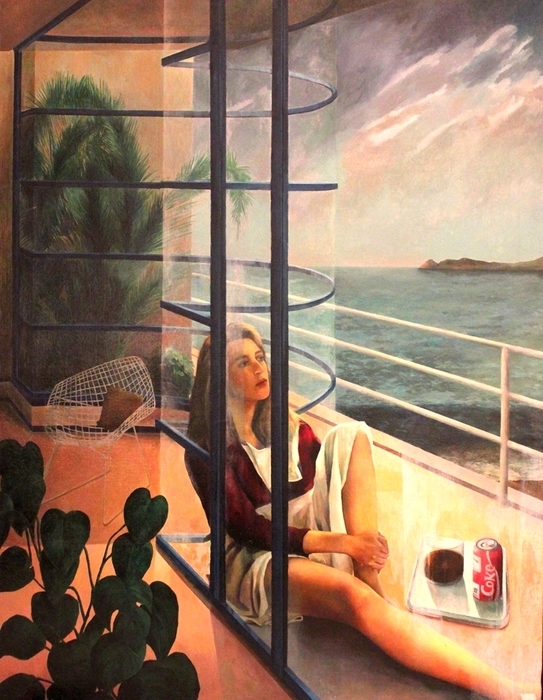 Consuelo Hernández, Spanish painter in the pictorial current of Realism, considered among the most outstanding Spanish realistic painters. Since his childhood and adolescence he alternates high school and university studies with those of Drawing and Painting, so that his training covers the fields of Art and Humanities. Although for years he has alternated teaching work with dedication to painting, nowadays he is dedicated exclusively to art. 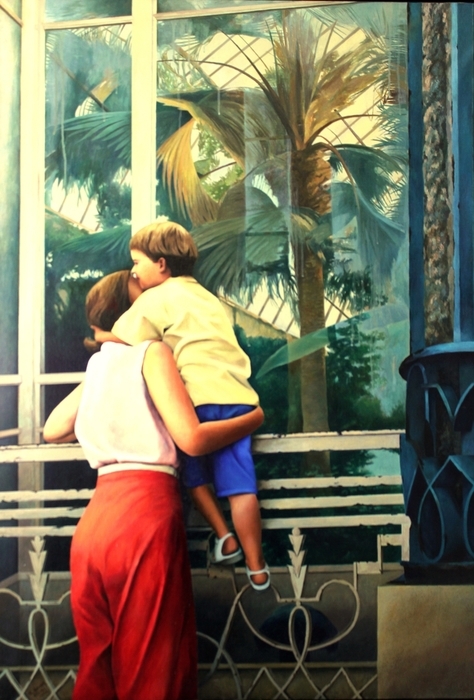 His first solo exhibition of painting was made in 1980, in Plasencia (Cáceres), where his work shows the influence of the French impressionist painters, an influence that he leaves behind until full immersion in pictorial realism, in many occasions, poetic , as various critics of his work have affirmed: Mario Antolín, Aníbal Núñez, Mohamed Lahchiri, José María Bermejo, José Marín Medina. The theme of his work focuses on people, beings and objects of their daily environment, as well as on worlds that, starting from reality, are the artist's creation.
. In the career of Consuelo Hernández, we must highlight her international relevance and especially her stay in Tangier for six years (1997-2003), city and country that left a great mark on the artist, both personal and creative. During this stage his works are inspired by the decadent architecture of the city's international period, especially the collection dedicated to the Cervantes Theater: Spring, Summer, Autumn, Winter at the GranTeatro Cervantes in Tangier. Consolidated Spanish artist, included by critics among the 10 most relevant painters of the current Spanish scene, his work has been exhibited in international art fairs, in Chicago, Hong Kong, Singapore, Paris, The Hague, Madrid ... and in festivals international The work of Consuelo Hernández has toured the halls of the Cervantes Institute in Tangier, Rabat, Casablanca, Fez and Tetouan (Morocco). 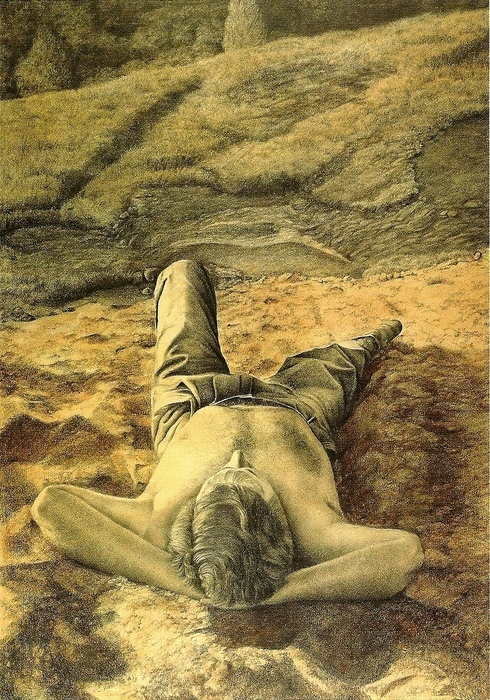 In July 2012 a selection of his work was exhibited at the National Library of Shanghai Pudong and the CEIBS (Art Investment Forum) of Shanghai (China). His international exhibitions continued in 2013 in the Bridge gallery in Beijing and in Shenzhen (China), as well as in the Gallery-M in Vienna (Austria). 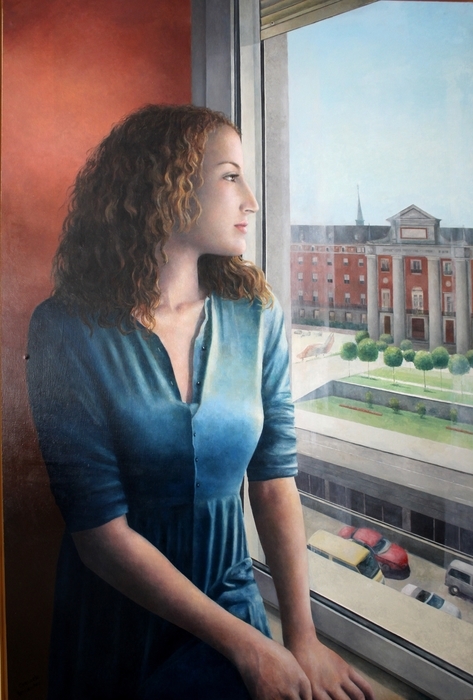 During the months of July and August 2015, the Diputación de Salamanca organized a retrospective exhibition of the painter in the exhibition hall of the Palacio de la Salina. The exhibition entitled "Memories painted" brought together forty-two works corresponding to three significant periods in the career of the artist, shows that had an important impact on the public, press and television. April 2016: the prestigious organization Foro Europa 2001 has awarded him with a Gold Medal for his artistic career. Figures and portraits placed in interiors or landscape contexts, characters of the artist's daily environment, make up this portfolio.